Driving the news: For many fire victims, insurance — or the government — makes it so they can rebuild on the same lot. But in some of California's most recent spate of fires, that hasn't been enough. And a lot of experts see signs that more homeowners could find it hard to rebuild as insurers reassess the risk of a new future of fire. The big picture: Since the middle of the last century, fire has destroyed an average of 500 homes a year in California, according to the Western Ecological Research Center. 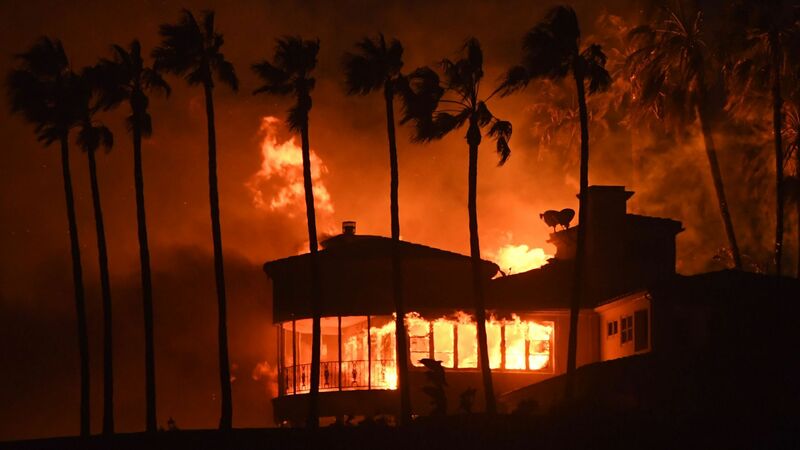 The big picture: Insurance losses from California fires last year were about $12.5 billion and this year could be about $6.8 billion, reports Don Jergler of Insurance Journal. After this season, insurers could decide to stop issuing fire insurance in high-risk zones "because they are contributing to people building where they shouldn't at all," says Dante Disparte, founder of Risk Cooperative, a DC brokerage that provides insurance to insurance companies. In Redding, 190 miles north of Santa Rosa, the site of the horrendous Carr fire this summer, insurance companies are already hiking rates or canceling policies altogether, said Brad Garbutt, a broker at local Vista Real Estate. "I think you're going to see the major insurance companies stop writing in this area." Tubbs fire: Despite the danger, demonstrated again and again, many in California's wine country, where fire swept through in the summer of 2017, have chosen to stay. The Tubbs Fire destroyed about 4,658 homes near Santa Rosa, authorities say. Its footprint closely mirrored that of the 1964 Hanley Fire; parts of the area burned again in 1986 and 1996. Carr fire: A lower-income city than Santa Rosa, Redding has not seen nearly the same vigorous rebuilding effort since fire burned 1,079 homes in July, and produced only the second-known large fire tornado in history.